Rhythm is a luxurious range of hand-woven shaggy rugs made of pure New Zealand twisted wool and polyester mix. 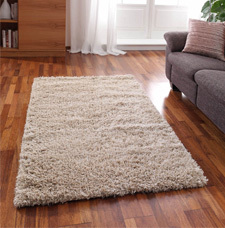 The rugs in this collection are heavyweight and feature a soft and dense pile, which is very pleasant to the touch. Fabric: New Zealand Wool & Polyester.